I haven’t really talked much about my beloved Sony NEX-5N lately due to the fact that I’ve been testing out and reviewing a bunch of other cameras lately, but that’s not to say I don’t use my NEX-5N anymore. In fact, it’s still my go-to camera for serious occasions and events because I can always count on it snapping up some awesome photos without worrying about image quality. Because of this, I spend most of my own money on the Sony NEX-5N when it comes to purchasing new lenses and accessories. I’ve recently started using a lot of Nikon lenses on my Sony NEX with the use of a Nikon-NEX adapter that I showed you a while back and so far, it’s been working out like a champ. The one thing however is that when using these lenses, you’re forced to use the NEX in almost full manual mode. That means manual focusing and manually setting the aperture. With the Nex-5N, it’s very easy to use lenses in manual mode thanks to its built in focus peaking feature that helps you determine what is in focus by placing a highlighted border around it. It works rather well and I actually find it much quicker to focus sometimes than using auto-focus. Now, when using lenses in manual focus, it’s very difficult using the rear viewfinder. It’s just awkward to me and my first instinct is to bring the camera up to my eye. Because of that, I saved up enough money and bought myself the Sony FDA-EV1S OLED electronic viewfinder. Connecting the FDA-EV1S is simple enough. It uses the same kind of connection the included flash uses so you have to plug it into the accessory port, then tighten it by turning the little screw. Once on, it’s a pretty good, solid fit however Sony recommends you remove it each time you are done with it. I just keep mine on as I use a larger shoulder bag that accommodates the added accessory. With the FDA-EV1S on however, you will no longer be able to use the flash or any other accessory as long as you have it on. This isn’t that much of a problem for me however as I never use the flash to begin with. I find the EVF much more useful than the flash. The FDA-EV1S has an eye sensor on it so most of the time, you never have to worry about manually switching between the EVF and rear viewscreen – it does it on its own. However, if you want to you can press the little button on the side of the EVF to manually override this. I also like that the FDA-EV1S is a tilting unit which is something the NEX-7’s EVF can not do nor most cameras that come with a built in EVF. Looking into the EVF, the OLED is very clear and very bright. 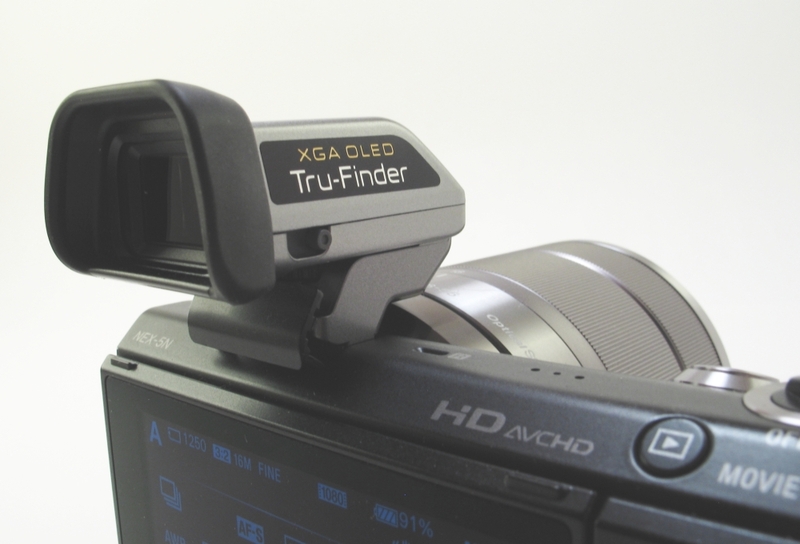 Everything you could view on the rear viewscreen shows up in the EVF. That means you can also navigate menus with the EVF if you have you camera set up properly and can use it without having to look at the buttons. What is great about this is that in really bright daylight situations where the rear viewscreen would be hard to see, the EVF negates this and makes shooting in any light pleasant. Images seen through the FDA-EV1S are clear, even more clear than on the rear viewscreen. It’s much easier to tell what is in focus, especially if you also have focus peaking enabled. This makes it infinitely easier to use manual focus lenses which I do with an adapter. I’m able to mount some of my older Nikon lenses and it just seems more natural shooting this way with the EVF. In fact, now that I use the EVF, I rarely ever shoot anymore with the rear viewscreen unless I need to shoot at some weird angle in which case I need to use the tilting veiwscreen. I know the FDA-EV1S is expensive, costing about half of what the NEX-5N itself costs. This was one of the huge factors that kept me from purchasing this accessory at first. This combined with the NEX-5N would bring the cost to around $1000-range and at that point, a few hundred dollars more could have netted me a NEX-7. However, the NEX-5N + FDA-EV1S has some advantages over its bigger brother. The FDA-EV1S is tiltable which means you can use it while looking down at it which makes for some stealthy photography. 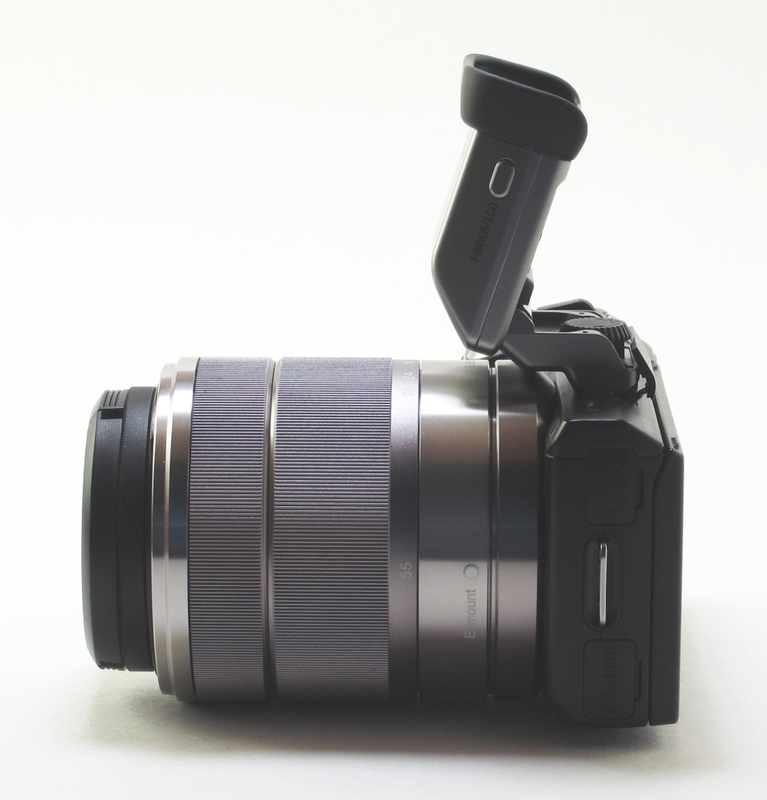 The FDA-EV1S also is removable which allows you to carry around the much smaller NEX-5N if need be. 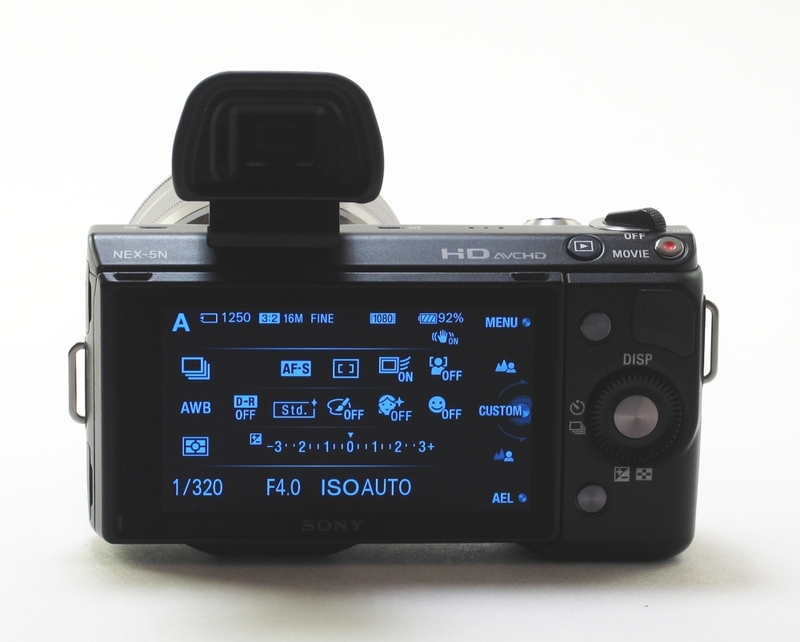 The NEX-5N also has a touchscreen while the NEX-7 does not. Plus, the cost of these 2 together is still a few hundred dollars cheaper than the NEX-7 which means you can use that money to buy yourself some extra lenses or other accessories. Is the FDA-EV1S a must buy if you own a NEX-5N? My answer to that is yes. It turns the NEX-5N into a completely different shooting experience and makes it that much closer to a full DSLR alternative with much lighter weight and size. Pair this up with a good lens, and you have yourself a camera that can completely replace a DSLR in my opinion. I rarely use the NEX-5N now without it and honestly, if you use any manual lenses on the NEX-5N, you owe it to yourself to get the FDA-EV1S. It will make manual focusing on the camera that much easier. 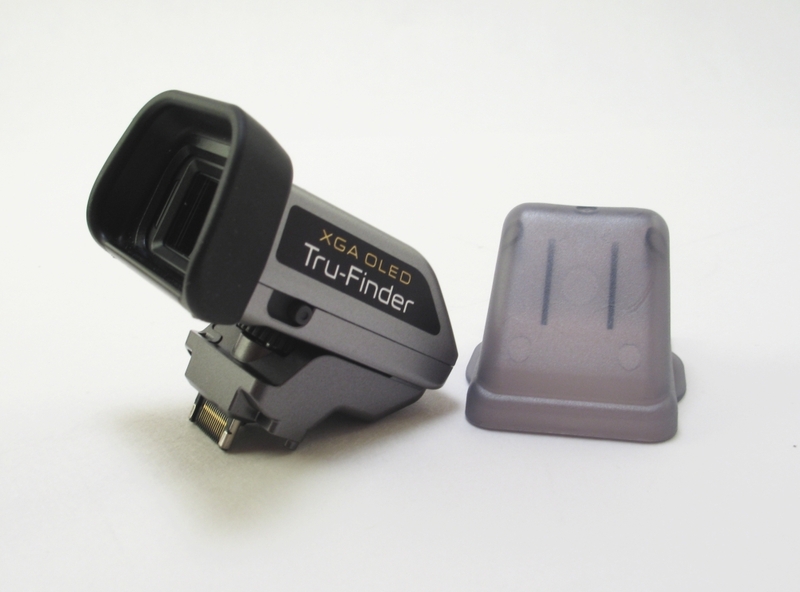 Note: Please note that the FDA-EV1S XGA OLED Tru-Finder will not work on the older NEX-5. 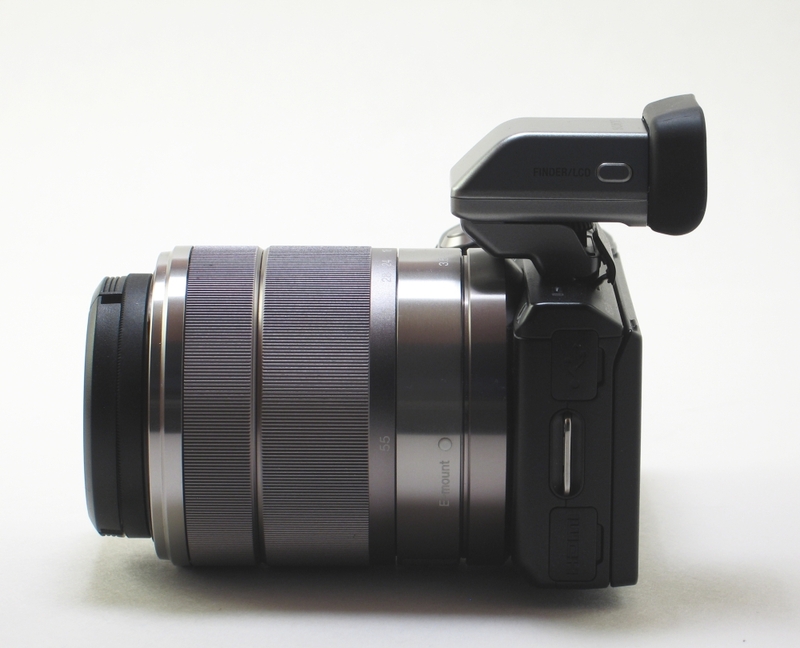 Also, I believe this now also works with the new Sony NEX-F3. thanks for pointing out focus peaking…i had no idea about it! how is the eye piece for lowlight/night sky photography? i find the screen so noisy i can barely make out what im seeing. Well, since it’s not an optical viewfinder, basically what you see on your regular viewscreen is basically what you see in the EVF. the EVF is brighter and a bit less noisy, but low light situations you’ll still see a bit of noise. I don’t think it’s as bad as the view screen, but it’s still there. makes sense, thanks for the input.